And now, no matter your age or skin tone, you can achieve radiant, even skin with no dark spots or discolouring, skin that is soft with a refined skin texture and tightened pores. In other words, perfect skin – even without makeup – that reflects youthfulness and vitality. 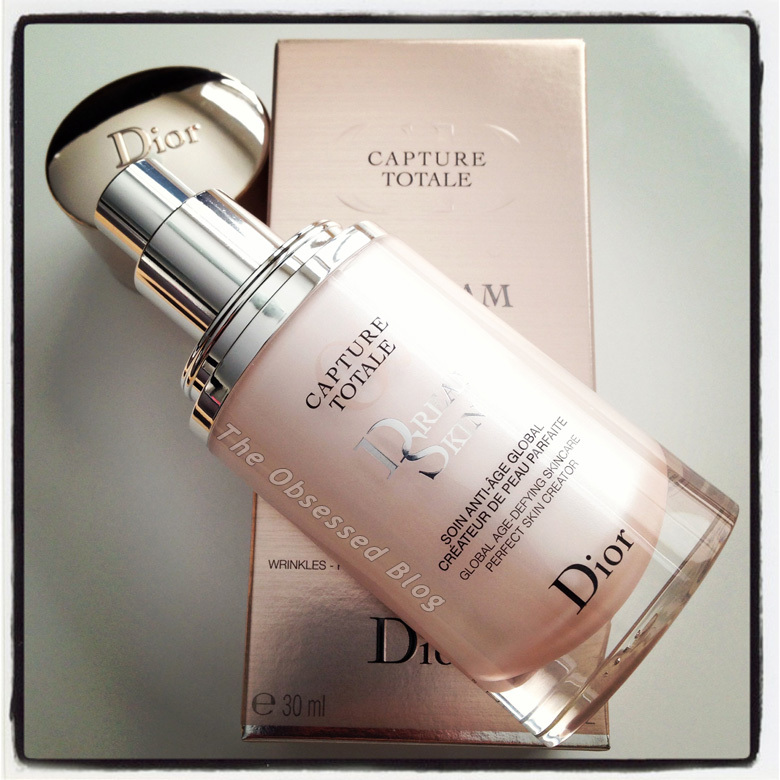 Dior introduces Capture Totale Dreamskin to their Capture Totale line-up. For the first time, Dior Science is able to act simultaneously on the skin’s quality, uniformity and youthfulness. Dreaming up a ‘smart’ and exceptional formula capable of delivering results both optically and biologically, with surprising skin-perfecting effectiveness on the surface for skin that appears flawless on application, but also a formula able to penetrate deep down for global age-defying effectiveness and results over time. A paradox that defies classic formulation laws and makes Dreamskin so incredible. 300 ingredients were analyzed and over 200 formulation trials conducted to create THE formula that would satisfy all these demands. To be applied on its own or after your usual skincare, and adaptable to all beauty routines. Dreamskin promises to free the skin from all sources of uneven colour and texture and to restore the beauty characteristics of young skin. I started using Dreamskin about two weeks ago, and really love what it’s doing for my skin. It’s a weightless lotion with a slight pink hue that pumps out a measured amount each time, and I personally like to use it after or in lieu of my day moisturizer every morning. It is very light and dries pretty matte, making it a nice base for your foundation. It truly creates a beautiful canvas for you to start your day with. 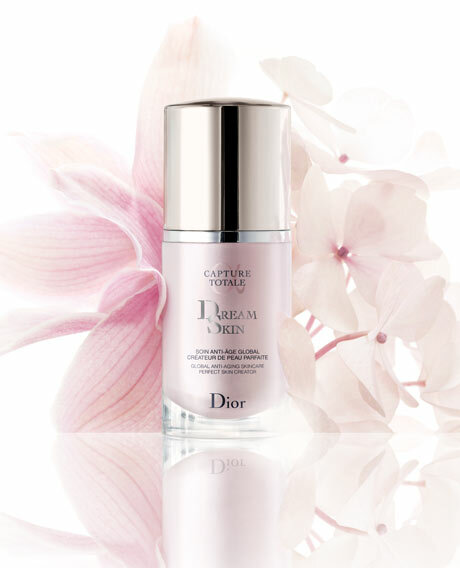 Dreamskin is now available for $115 Cdn wherever Dior Capture Totale is sold, and from I understand, it is selling out quickly! With regular, once-daily use, the 30 ml pump should last up to about two months – fantastic considering that one pump is more than enough! Capture Totale also created a Sérum de Teint, an incredible liquid foundation with triple-action youth correcting power. Wrinkles, dark spots and radiance are targeted in an extension of the beauty routine inititated by Capture Totale skincare. This triple action helps to smooth the surface of the epidermis, correcting dark spots, mild redness and other imperfections, and makes your skin glow with a youthful radiance. The foundation also contains SPF 25 to protect you from the sun’s rays. Perfect complexion, dream skin, for radiant beauty. This makeup is like Photoshop for your skin. I’ve been wearing it for the past few weeks and never dreamed I would love any liquid foundation more than Dior’s Airflash foundation (which is amazing and so easy to wear and work with), but Capture Totale’s Radiance Restoring Serum Foundation provides flawless coverage without being cakey or too much even with its great coverage. It can be applied by massaging the foundation gently outward from the centre of your face, using either your fingertips or Dior’s Fluid Foundation Brush (in either Light or High Coverage). The fluid is creamy without being oily, and leaves a lovely dewy finish behind, making your skin glow and even. I’ve had a rough week, and really needed all the makeup/coverage I could find (trust me), and using this foundation almost eliminated any need for concealer. It is truly that amazing. On a regular workday, I could get away with applying only the Capture Totale Foundation – truly no concealer needed. If you love a matte face, feel free to swipe some powder on your t-zone and over eyelids, and you’re ready to go. What I love most is that it feels as though I am not wearing any foundation. And at the end of the day, I’m not rushing to remove it like I normally do with makeup – it feels like it’s barely there! 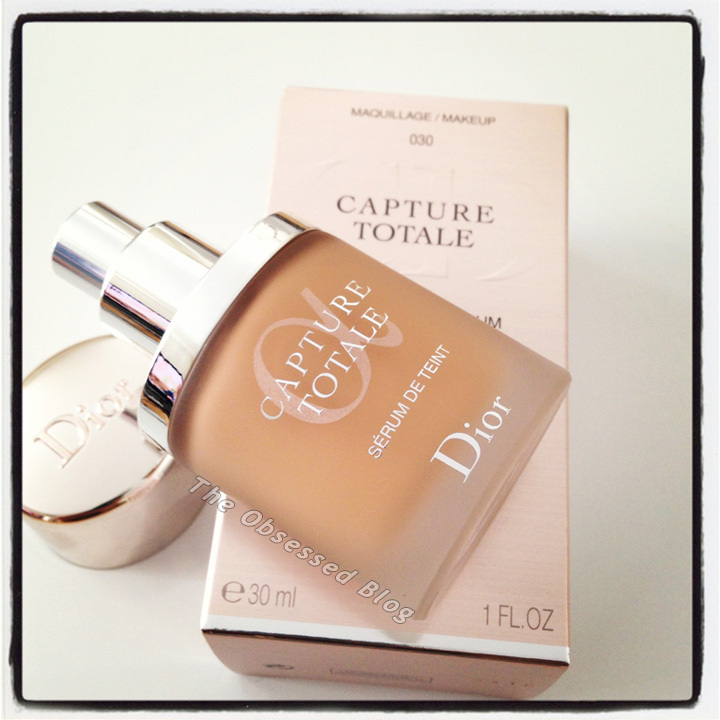 Capture Totale’s Radiance Restoring Serum Foundation SPF 15 retails for $85 Cdn and is available now at Dior counters nationwide. Please let me know if you try either Dreamskin or Capture Totale Foundation and what you think of it!